Can I hand my lease car back early? If I wanted to end my lease contract early can I just hand the car back? 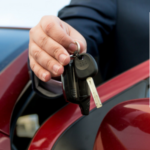 You can hand your lease car back and terminate your lease contract at any time. However, like with any financial contract, there will be a penalty for doing so. The penalty for terminating your lease contract early will depend on a number of factors. Primarily it will depend on how long is left on the lease contract. In this article, we'll take you through the process for each lease type and what financial penalties you could expect to pay.